Airbus has been on a path to incorporate 3D printing into its aircraft as much as possible, leading to 3D-printed engine parts, cabin dividers and more. Two years ago, the aerospace company entered into a partnership with 3D-printing service bureau and software developer Materialise to add yet more 3D-printed parts to its planes. The fruits of that partnership are now visible as Airbus will begin using 3D-printed bionic spacers in its aircraft cabins. In order to quickly perform retrofitting, Airbus turned to Materialise to produce components with 3D printing. The first 3D-printed parts to be installed in commercial Airbus aircraft will be spacer panels located alongside overhead storage compartments. 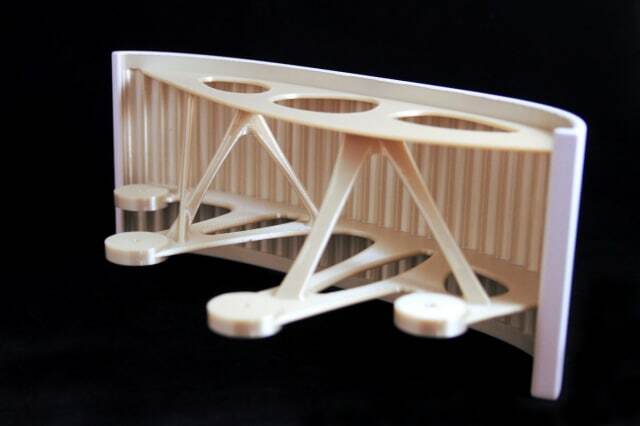 Like the prototype cabin divider design Airbus created with Autodesk, the spacers feature a bionic design. 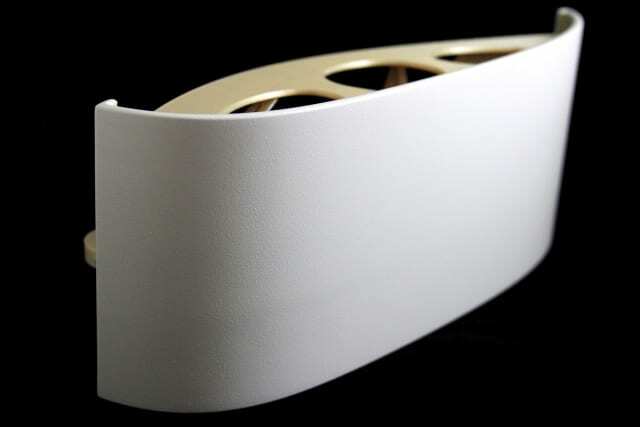 In fact, through Materialise’s Certified Additive Manufacturing program, the panels have received “full bionic design certification.” The parts are 15 percent lighter than traditionally made panels through the use of complex internal lattice structures. The parts were not only made quickly but also under proper aerospace certifications. Materialise made the parts at its Certified Additive Manufacturing facility, which has ISO 9001 certification for manufacturing, ISO 13485 for medical devices, ISO 14001 for environmental management, and EN9100 and EASA 21.G for aerospace. In addition to using flame-retardant Airbus-approved materials, the parts also meet Airbus’ aesthetic requirements, completing Airbus Cabin Trim and Finish checks once they have been finished. While the project is important in that it’s a first for 3D-printed cabin components, it also highlights the transition occurring in which 3D printing is transformed for end-part manufacturing. 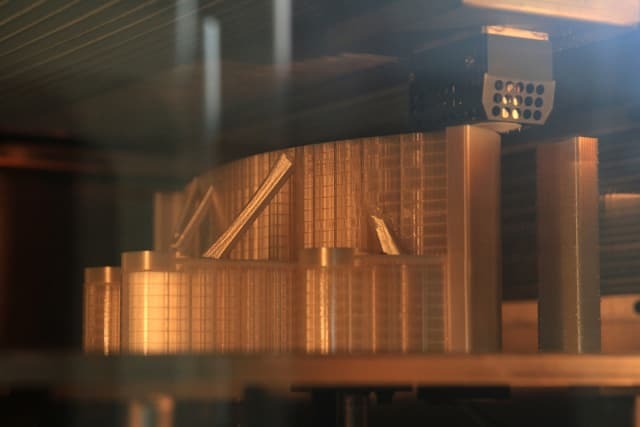 Materialise in this case has demonstrated its ability to establish an additive manufacturing process that meets industry requirements, perhaps foreshadowing widespread adoption of the technology for end production. The panels will soon be visible to passengers on A320 jetliners from Finnair. To learn more about the project, visit the Materialise website.